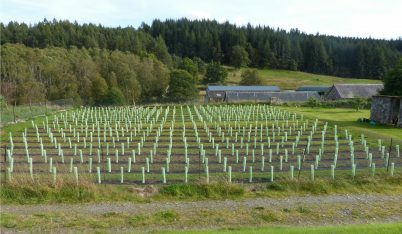 One of the world’s most Northerly tea plantations. 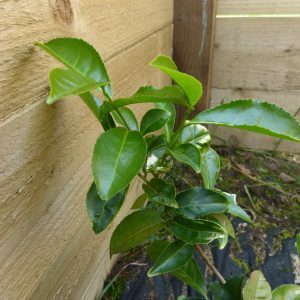 In September 2017 we planted 500 Camellia sinensis (more commonly known as tea plants). They were established in tree tubes and covered in agricultural fleece for the winter. 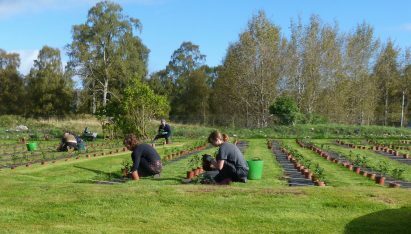 All the plants survived the winter and the early growth in the spring of 2017 was promising, but as the days lengthened and they were subjected to cool winds and bright sunlight, the fresh shoots (known as a ‘flush’ and being the leaves that would be picked to make tea) were not doing so well. So in July we decided that further protection would be needed until the plants are a bit more mature and strong enough to stand up to the conditions here, so we have erected cold frames which we believe will do the job. Since the frames have been in place we have seen a marked improvement and the new growth is doing well. We have managed to pick a few leaves and taken a few cuttings and have even made an experimental batch of tea to drink. If we can propagate the cuttings and the plants grow well next year, we will continue our experiments with handling and treatment of the crop and hope in a couple of years or so to have a Guisachan Tea for you to sample.